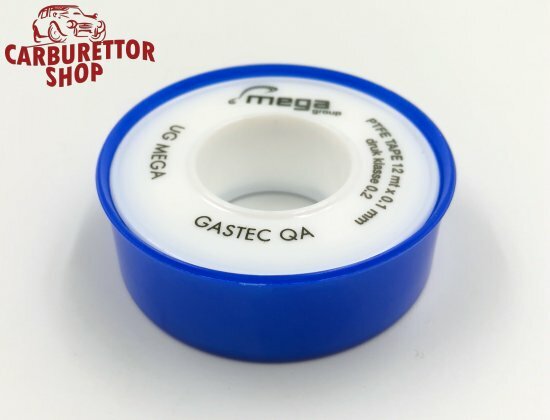 Roll of superior quality PTFE tape, used to thoroughly seal the connection of screw-in couplings on the bodies of fuel pumps, pressure regulators, fuel filters and the likes. Roll of 12 meters (around 36 ft. ! ); probably enough to last you a life-time! As an alternative, you can use our Loctite 243 Thread Locker which will offer the added avantage of securing the connection.